Your new or used Kia is your trusty automotive sidekick. You rely on your Kia Optima, Sorento, Soul, Rio or Forte to keep you and your loved ones safe while constantly on the move. For that reason, among others, upholding your car's integrity is something that we at Nemet Kia take very seriously. In fact, our auto service center in Jamaica, New York is staffed with Kia specialists. Always happy to keep the drivers that we serve from greater Brooklyn, Queens and Long Island safely on the road, our team is able to perform routine maintenance and repairs, when necessary. For more information or to schedule a service appointment, we invite you to use our easy only service scheduler or visit the dealership in person. Work in the city and need to have your car serviced? 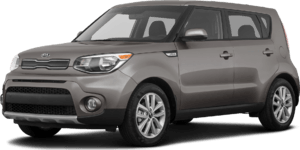 Nemet Kia is the easiest way to go! In today's busy world, convenience is king. We know that people in the Brooklyn, Long Island, and Queens areas have a lot on their plates; the last thing busy drivers, such as yourselves, want to do is waste an entire Saturday waiting for your car to be serviced. Fortunately, when you choose to have your Kia's routine maintenance or repairs conducted here at Nemet Kia, you can circumvent long waits and wasted days off. Simply drop your car off on your way into work on a weekday. We are conveniently located less than a block from the Parsons Blvd subway station so you can head into the office, go about your day per usual, and return to the dealership on your way home to pick up your vehicle when the workday is through. Get the high-quality automotive care you desire here at Nemet Kia--no compromises or inconveniences necessary!